Hoaxing Heironimus claimed he was the man in a suit wearing shoulder pads under the costume to bulk himself up. Any shoulder pads would have to be from the 1967 era if this were even true. Can one assume that shoulder pads are also being worn in that costume? If so a height to shoulder span might be able to be determined. Anyone? The new and improved Bigfoot suit is a farce. It just shows how little thought it takes to buy into the Morris/Heironimus story. In fact - Morris originally said that the person in the suit must have been a very big man to fill the costume out in a way to see the muscle movements. The new and improved suit looked like the "cousin it" version. Bigfoothunter, you are sorely need on this. All of your expertise and everything and anything else that you can do to support this avenue of investigation. Apologetics is fine but it's going to take way more than that to settle down this particular Pandora's Box and make it an airtight case. So much is riding on it. Is there something you can do to make this at all ironclad? I can't because my skills just aren't that good. There are people here who are really good at overlays, of people, Human skeletal representations, dimension comparisons, and all manner of precise interpretations of data. For some strange reason I don't think this can or should wait or be placed on some back burner until someone gets around to it.I hope you understand the enormity of it if this turns out even near the mark of truly proving Patty existence to everyone's satisfaction. Well so funny the suit guys make a "new" bigfoot costume for phil presentation instead of any Patty suit. Too funny we never see that PGF SUIT of Morris in action in any way. Finally you nail it with the Cousin It description. Other than some face special effects, the rest of the body is bad/weak. I have a vague memory of shoulder width discussions from the days when Gigantofootecus was active with his photogrammetry calculations. This may have been on the old site. There was also an image of a kid in a bulky snowsuit that forced his arms to stick out horizontally at about the same time. Does this ring a bell for anyone? I think that premium members have access to the old site. Hiflier, great work. The connection between shoulder width, arm length, and elbow location is brilliant. The elbows would "ride high" if worn with shoulder extenders. Kudos! It is akin, in some respects, to the Gigantofootecus ASH ratio work he did back in 2005. In that analysis, he compared the arm span to height ratio and came up with 1.30 for Patty. In the years since his analysis, I've always said that was the best evidence, the tipping point, which convinced me beyond any doubt that Patty was real. I went through detailed records which showed the height and arm span of NBA players going back decades. The highest ASH ratio I found was Kevin McHale and I believe his was 1.17. If memory serves me, nobody else was close. Patty's 1.30 is simply outside human proportion. 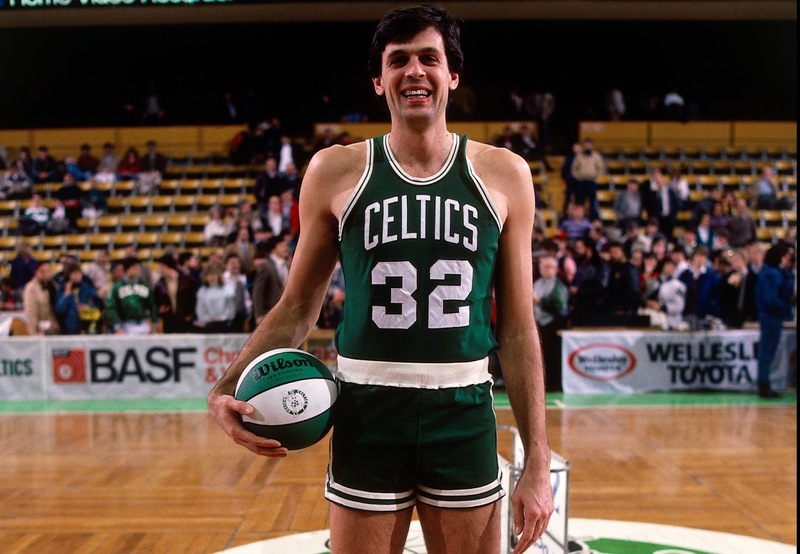 I crudely measured ( as opposed to digitally measuring) the ratio of McHale's shoulder width to total arm length and came up with .555. His shoulder width to upper arm ratio was 1.17 which, as I mentioned above, was also his ASH ratio. Hmmm. It would be interesting to measure Patty's shoulder width to upper arm length ratio to see what it is. If it is 1.30 then, it would match her ASH ratio in the same way that McHale's ratios were both 1.17. Hi wiiabwiwb. Thanks for the link. This whole thing cannot really be based on Patty's actual height though because ithat has always been a subject of controversy like all of the other 'actual' attempted measurements. That's why it is based on a ratio and believe me I know what you mean with the 1.17 of Kevin McHale so you are on the right track. This is based on comparing two different lengths, height and width, using whatever scale one chooses. If some measures 3 inches high and I inch wide (3:1 then that can be enlarged to be 6:2 or 9:3 as long as the ratio between the two numbers remain the same. So a 72 inch height at 3:1 would have a 24 inch width. In Patty's case the ratio, by measurement, was different. At 6 feet tall her shoulder width turned out to me 30 inches. "Krantz pointed out the tremendous width of the creature's shoulders, which (after deducting 1" for hair) he estimated at 28.2 inches, or 35.1% of its full standing height of 78", or a higher percentage of its 72" "walking height," which was a bit stooped, crouched, and sunk into the sand. The creature's shoulders are almost 50% wider than the human mean. (For comparison, André the Giant had a typical human ratio of 24%. Wide-shouldered Bob Heironimus (see below) has 27.4%. Only very rarely do humans have a shoulder breadth of 30%.) Krantz argued that a suited person could not mimic this breadth and still have the naturalistic hand and arm motions present on the film." Good to know that my calculations were close to Dr. Krantz's though. I may have added some ammo to the idea though with elbow location though. At least I hope I did. In addition to the good things you've brought to bear, I think we should look at the shoulder width to upper arm ratio. To his credit Sweti, has been a pioneer when it comes to recognizing that the upper arm proportion of Patty is just not right. Combining Hiflier and Sweti might just pave the way. I get what you mean but I will say it another way. Same thing I think but different wording. Patty's upper arm IS right- for Patty. Not for a Human. And if that Human only has a 20" shoulder span then the upper arm length will be way to short and so won't be anywhere near the length of Patty's upper arm. Am I close? hiflier, the one thing you're overlooking is that Patty is a 'she' and maybe it would be better to look at these proportions and ratios on females rather than males. Or better yet, both. I understand that probably doesn't alter your premise that it can't be someone with shoulder pads because of the arm/shoulder movement, but when you start discussing ratios I think there are differences between men and women. Well, yes, but if the claim is Patty was a MAN in a suit rather than a WOMAN in a suit ... then ... y' know ... measure men. Just Curious has a point, MIB, but what you said is is why I used an average male as the reference.